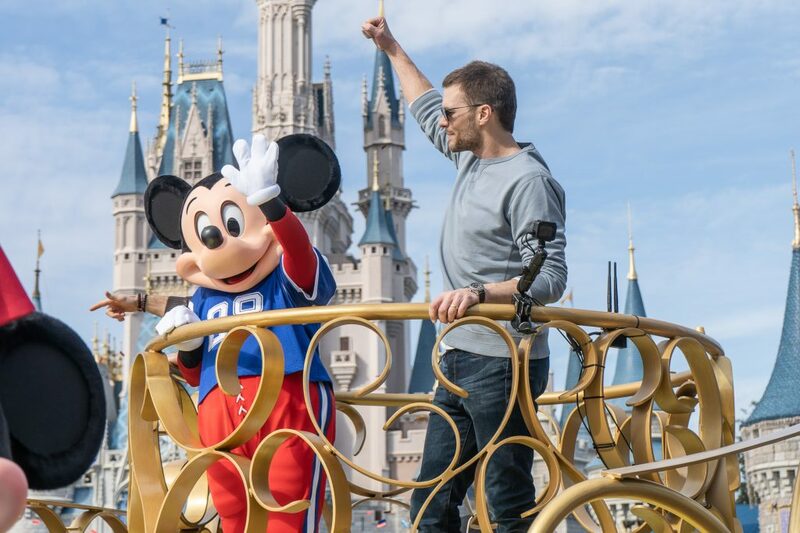 The New England Patriots won the Super Bowl last night and that meant a parade would be coming to Magic Kingdom! 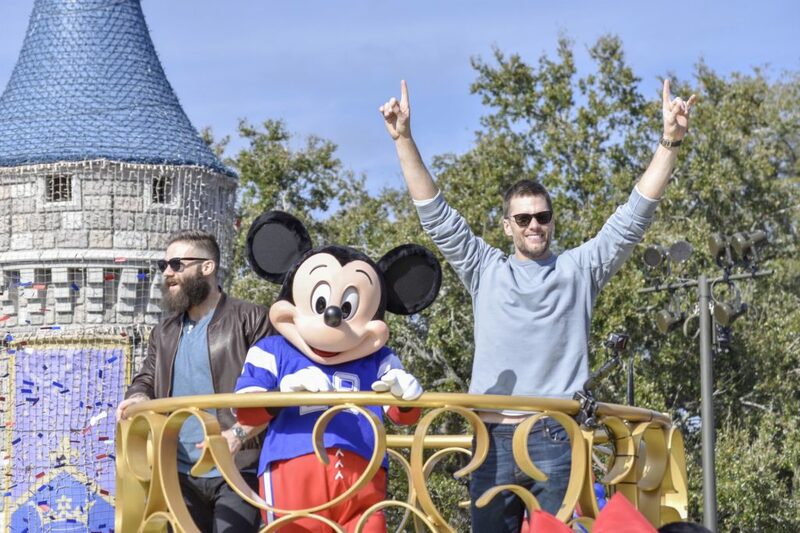 Late after the game, it was announced that quarterback Tom Brady and wide receiver Julian Edelman would represent the Patriots in a victory parade. 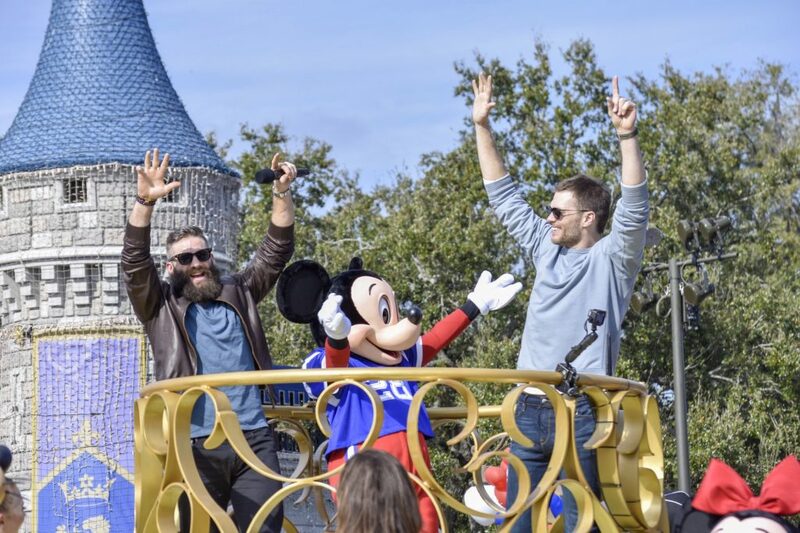 We were at Magic Kingdom this afternoon to capture the celebration of the Patriots sixth Super Bowl victory. 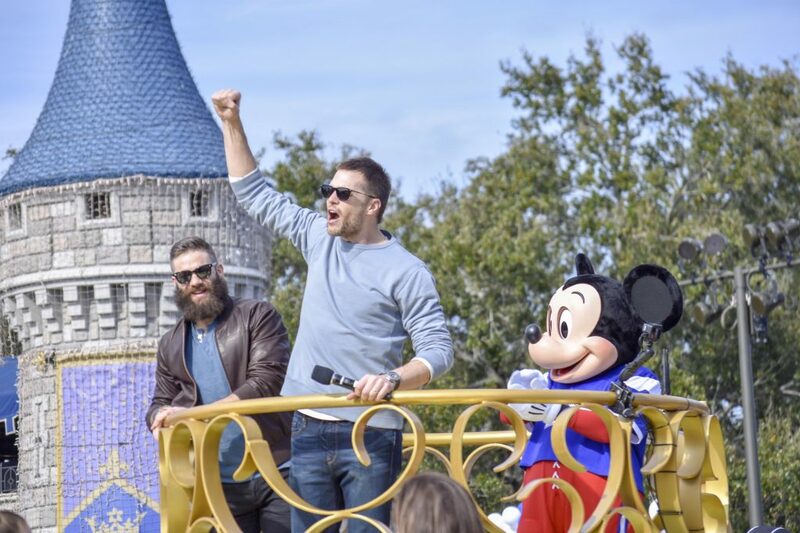 Unlike parades that we’ve attended in the past, the players actually spoke to the crowd! 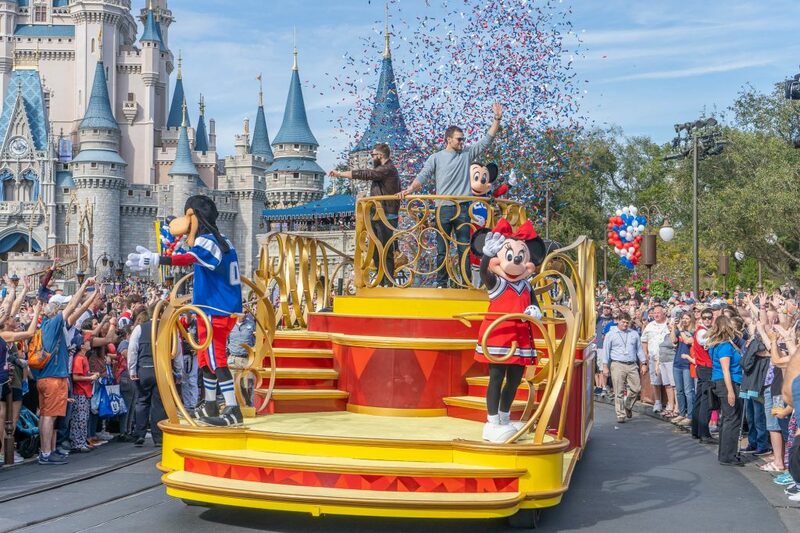 You can watch the full parade in our video below. We were the family that was sitting next to you the day the fire dragon came back to the park. Sarah looked for your blog and found it! We enjoy your updates!